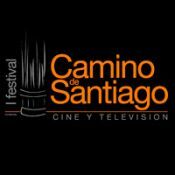 1st Camino Film & Television Festival – June 2013! It is an exciting time in Santiago de Compostela. The sun has been shining and many smiling pilgrims are arriving celebrating their camino journey! Pilgrims and tourists arriving during June 3 – 7, 2013 (monday through friday) will have the opportunity to experience something very special, new and unique – the 1st Festival de Cine y Television Camino de Santiago! The Film and Television Festival Camino de Santiago is focused on sharing an unprecedented commitment to Spanish films and a special exchange with their creators. The festival will include an official competition section with Spanish and other films on the camino. The festival event will give honorable mention to actors in both film and television series of special relevance. We hope to see you and share with you this very special event if you are making your camino journey during June 3 – 7, 2013! We hope you can join us for some film and television festival fun! This entry was posted in Camino Inspirations! and tagged culture, film, nature, outdoors, spirituality, television, traditions. Bookmark the permalink. ← Camino is a Fantastic State of Mind!